I am no stranger to industrial PLC’s, so it is no stretch for me to know that if I want to automate actions on the layout, then a programmable platform is needed. 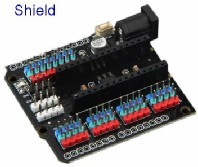 The things I want to do are beyond that which a bespoke electronic circuit is capable of, so the obvious choice might be a PICAXE (programmable Integrated Chip), but an Arduino is a better option due to being more powerful and just as cheap! The basic chip on a pcb ready to go, is less than £2 !!! 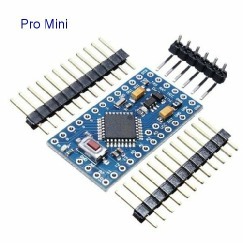 There are several variants, but I will use the smaller Pro Mini (only has serial connection) or Nano (has USB connector). Each has 20 connections for inputs or outputs (I/O). They are capable of driving RC servo’s directly. They come “empty” and after downloading the free software [IDE] from the Arduino site, you have to write the programme in C++, or find a source to crib from and upload to the chip. OK, let me kick it off with a simple hypothetical layout, lets call it 'Theadonia'. So for the first example, lets investigate block indication. If we say had 50 blocks, that would mean running 50 wires back to the mimic! (spaghetti junction). Ditto if there were 50 points, that would mean 50 or 100 wires back from the mimic to all the points! The arduino is capable of compressing this wide number into a few wires and passing the information (status) very fast in a serial mode (one at a time, sequentially incrementing the next chunk and so on) in a short period of time (a few milliseconds). Let's say Theadonia has 12 blocks, detected by 2 arduino's that need to be displayed as led's on the mimic. In each Block Arduino, the status of all points is known from 6 inputs and is stored as binary as 000000 (all unoccupied). We can compress this data into hexadecimal and send over a 2 wire communication bus. So our six bits of information must be read as a 8 bit string (byte) for conversion to Hex. We can then get the Mimic Arduino to filter the addresses and poll for information from each Block Arduino in turn. Thus it will see the status of the first Block Arduino as a hex value, then the status of the second Block Arduino as a hex value and store both values in a table. The Mimic Arduino can then read the the table, convert the hex back to binary and allocate each individual bit (block status) to individual outputs that are in turn connected to specific individual LED's on the mimic front. So in a similar manner to DCC, multiple Arduino's can be used on a two wire network to transmit and receive lots of data, in the form of addressable parcels of information. There are hundreds of connector types in industry, but some are more common than others. One loose standard is to use a pitch of 1/10th of an inch between holes in a PCB, also sometimes referred to as 2.54mm pitch. Many types of veroboard and stripboard are arranged to this dimension. To allow easy connection, multi pin connectors are made to suit this pitch. One early manufacturer called Molex, created a range of connectors that could be soldered to boards, the proprietary name has stuck! (Like calling a vacuum, a Hoover). Dupont is another manufacturer name they are referred as. They come in a rage of 1 to 40 in a row and sometimes in two or three rows. Crimped connectors are used to connect wires to connectors, the fixed part is usually has pins to allow soldering (and is usually called a Header). Some two row connectors can be had with IDC [Insulation Displacement Connection]. 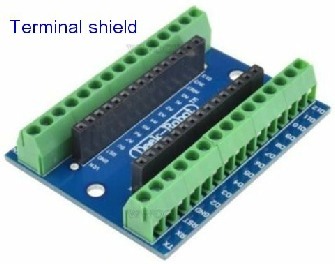 Several types are available with “key” registration (a pip on one side) to ensure connection the right way round, but most for Arduino have no key. 3 wire servo connectors adhere to this standard. 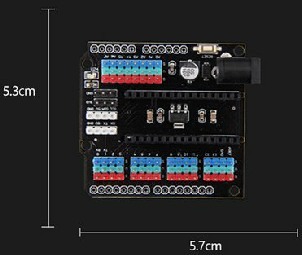 Depending on with Arduino board variant you get, it will either come with Molex headers or may come with just plain holes, ready for something to be soldered in, sometimes the board is supplied with the Molex headers loose, so you can choose what or how you attach them. 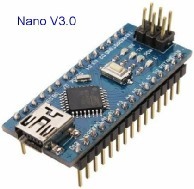 The Arduino is essentially a CPU [Central Processing Unit] chip that has multiple connections with power drivers to allow direct connection to the world via TTL [Transistor Transistor Logic), 5V DC]. On it’s own, it does nothing. It needs a set of instructions that tells it what to do when it see’s inputs and which outputs to drive under certain conditions. This instruction set defines the conditions and outcome. Most commonly, this is called the software program. As long as the program is written in a way the CPU understands, it can be permanently stored in the CPU and the system will act on the stored program each time it is powered up. In the Arduino world, the program is referred to and called a ‘SKETCH’.